This is a portrait of the colourful characters of late 18th-century France, and a treasure chest of poignant, satirical humour to put a smile on every cynic's face. 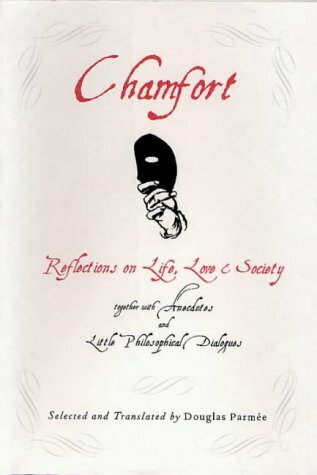 Chamfort was a man of his time. A love child of semi-noble birth, he became a cult figure in the salons of pre-revolutionary Paris - his athleticism and charm proving irresistibly attractive to the same aristocracy which later he would grow to despise. But it was only after his death, in 1794, that he achieved the fame he had always longed for. In his room were found thousands of scraps of paper on which he had written his reflections on love, life and society. Later published in book form by admirers, these have become a testament to the astutely perceptive wit of France's forgotten philosopher.